WASHINGTON: US Special Representative Zalmay Khalilzad announced on Tuesday that he has completed a marathon round of talks with the Taliban in Doha and is now heading to Washington for consultations. Apparently, disagreements on a timetable for the withdrawal of foreign troops and counter-terrorism measures are preventing the two sides from reaching a final agreement. 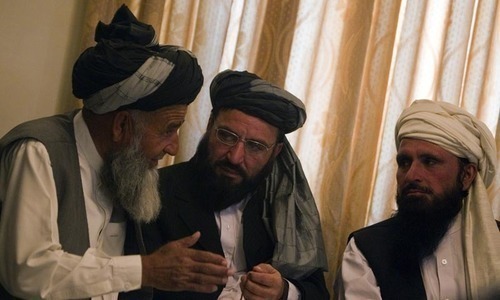 The Taliban are also refusing to hold face-to-face talks with the US-backed government in Kabul. The fifth round of US-Taliban talks began in Doha, Qatar, on Feb 24 but were paused for two days on Feb 27 to give both sides time for consultations on issues relevant to the negotiations. “Just finished a marathon round of talks with the Taliban in Doha. The conditions for peace have improved. It’s clear all sides want to end the war. Despite ups and downs, we kept things on track and made real strides,” Ambassador Khalilzad wrote. In a series of tweets on Tuesday, the veteran diplomat, who is heading Washington’s efforts for reconciliation in Afghanistan, also underlined the issues that are preventing the two sides from concluding a final deal. “Peace requires agreement on four issues: counter-terrorism assurances, troop withdrawal, intra-Afghan dialogue, and a comprehensive ceasefire,” he wrote. Mr Khalilzad recalled that in January the US and Taliban delegates had “agreed in principle” on these four elements. “We’re now ‘agreed in draft’ on the first two,” he added. “When the agreement in draft about a withdrawal timeline and effective counter-terrorism measures is finalised, the Taliban and other Afghans, including the government, will begin intra-Afghan negotiations on a political settlement and comprehensive ceasefire,” he wrote. Ambassador Khalilzad, who has been travelling across South Asia and the Middle East for almost a month for soliciting support for his peace efforts, is now returning to the US capital. “My next step is discussions in Washington and consultations with other partners. We will meet again soon, and there is no final agreement until everything is agreed,” he wrote. 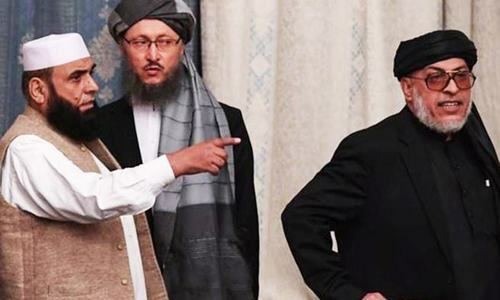 While he was engaging the Taliban in Doha, Mr Khalilzad encouraged Kabul to form a national team for an intra-Afghan dialogue with the insurgents. On Tuesday, the US State Department announced that Mr Khalilzad’s trip to the region has been extended to give him more time for negotiating a peace deal with the Taliban. Also on Tuesday, US Secretary of State Michael Pompeo said at a public meeting in Iowa that he may visit Doha as well to help finalise a deal. “This is the nature of diplomacy. 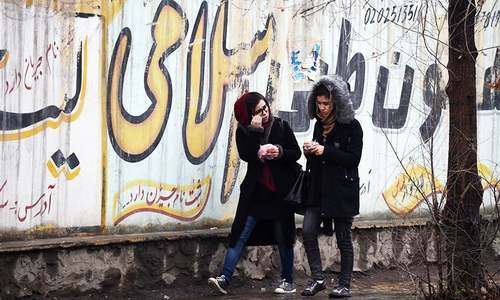 Opportunities present themselves; we change course, we correct,” said the State Department’s spokesman Robert Palladino when asked if he was satisfied with the progress made so far. Mr Palladino said that the talks were focusing on “four interconnected issues that are going to compose any future agreement: counter-terrorism, troop withdrawal, intra-Afghan dialogue, and a ceasefire”. Once an invader, always an occupier. 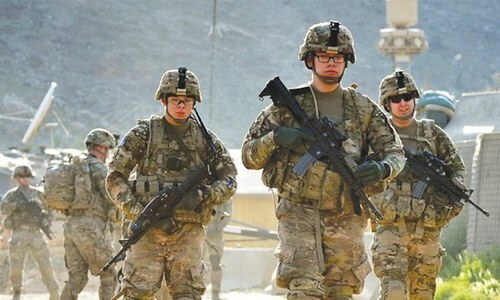 Has the U.S. ever withdrawn its armed forces from any place in the world that it militarily attacked, invaded and occupied since last 100 years or so? If no, then why should it withdraw its army and airforce from the Islamic Emirate of Afghanistan? If yes, please identify that area, land and country from where it completely, unequivocally and unconditionally withdrew after its invasion?